Pft. The blade's not even straight. Sloppy 'shopping. 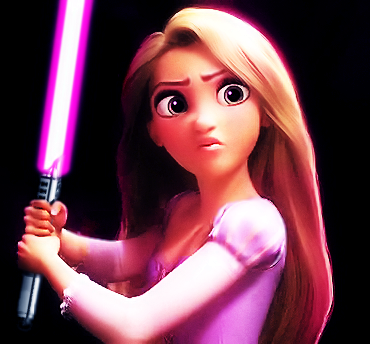 <totalnerduk> She'll make some Star Wars fan very happy some day, booze. Imagine how gutted Ewan MacGregor and Liam Neeson were in 2002. Ewan: Hey Liam, you realise we're two of only seven people who've ever been seen with a light saber on screen? Liam: Yeah, pretty cool, huh. Oh the Jeditards .. wich were masacred by useless combat droids and were totally unable to pull any tricks their more famous partners did constantly.. Which is how the current hollywood studios 3D craze ("We're lemmings! We have to do what everyone else does!") should be handled. All 6 movies are suposed to be aired in cinemas for 2012 until 2015.. that means one movie each 6 months so ep 2 will be arround September ..
We can complain about 1 and half of those 3 years. Oh boy, can we complain. Star Wars in 3D? MEH! Paying stupid cinema prices? MEH! Watching it for free in the home cinema with good food? YEAH BABY! I disagree. Star Wars at the cinema is always good. I just wish I could pick and choose from the special editions, cause some things improved it, others didn't (ROTJ, I'm looking at you, mainly). Don't you get it SOS? The movie just wasn't complete without the singing anteater! And no enormous screen and truly great sound. Home cinema? That's the ultimate oxymoron. Saw ANH on IMAX. Really want to see the other two from the original trilogy on IMAX. Really want to set fire to the IMAX theater before they show the prequels. 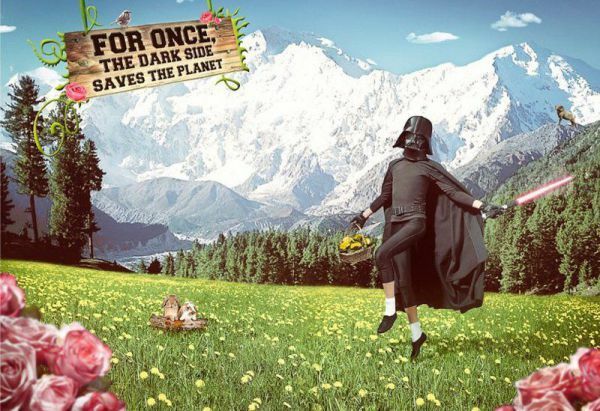 "The hills are alive... with the sounds of Vader..."
Hmmm, option C is intriguing. What's this? Mr."What do you mean I have to manually type in the tags instead of clicking!" embeds [list type=upper-alpha] tags to pretty up the formatting? I'd say option A. That way you can get halfway through and honestly say "it gets better", and get all the flotsam out of the way first. Plus the hexalogy (yep, series of six, I checked) ends on a high note. You could go 4, 1, 2, 5, 3, 6. Set up Luke and Vader, go through part of Anakin's adventure, reveal him to be Luke's father, complete the dark side turn, and then the redemption. ... But I'd suggest 4, 5, 6, 1, 2, 3. IMO, the twists of 5 and 6 are ruined if you watch the prequels first. Now this I have to try. D is the way that will bring the least suffering. well im definitely looking forward to all 6 flicks in 3D in the theatre. I expect that there will be tons of kids with Darth Vader masks on that have those 3D glasses built in. Just like the Optimus & Bumble Bee masks that are getting released for Transformers 3 this summer. also, the Clone Wars cartoon is tied for 1st place with Futurama on my list of cartoons. Simpsons is #2. I always say 1-6 just makes the most sense. And they get to experience it like its supposed to be. In a way we never could cause they were released out of order. Sometimes I wish I could erase my memory and watch it all at once, 1-6. Oh, and Clone Wars is pretty awesome. Also, a show I've recently been surprised by is American Dad. It's actually really good.. I always say 1-6 just makes the most sense. And they get to experience it like its supposed to be. In a way we never could cause they were released out of order. Please please please tell me you don't buy into the absurd notion that Lucas had a full 6 film plot in his head in 1977 and simply chose to release part 4 on it's own. It's obvious he didn't just from watching eps 4-6. I personally agree with any order that doesn't spoil the revelation of 5, which is indubitably ruined by the prequels. So do I, but for very different reasons. For somebody who's never seen Star Wars before, the twist of Empire is ruined by Episode III alone. They'll figure out that this Anakin kid is Luke's father, who Obi-Wan explained in the original movie was one of his comrades during the Clone Wars. Those two films don't reveal anything about him becoming Darth Vader; that's only revealed in Episode III. Unless they were clever and noticed the motifs associated with Anakin they wouldn't realize whatsoever that he becomes Vader. Thus, although I was being somewhat sarcastic at first with the suggestion, I think the order 4, 1, 2, 5, 3, 6 might be a good one to be able to watch most of the prequels chronologically first but still be able to keep the twist of Empire in tact. Wont the surname give it away? Edit. Stupid post. Now deleted. It'll give away that Anakin is Luke's father, but not that Anakin is Darth Vader and that Darth Vader is Luke's father. I also just realised that whilst the prequels do their best to establish Anakin as "the best star pilot in the galaxy", when the hell is he ever a "cunning" warrior?